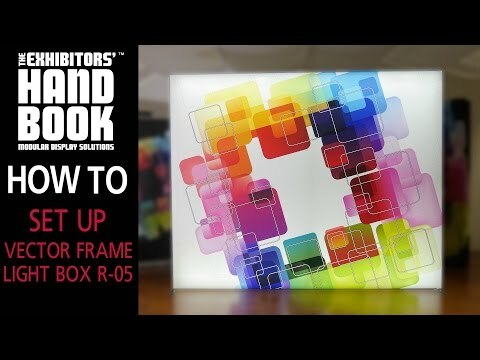 Vector Frame™ fabric light box Rectangle 06 features a durable 100mm aluminum extrusion frame, a push-fit backlit fabric graphic and LED edge lighting. Single and double-sided graphic options are available. LED lights come adhered to the frame, making set-up as simple as assembling the frame, applying the push-fit graphics and plugging in the electrical cord! Vector Frame Light Box R06 is ideal for use in retail, event, corporate and trade show environments as an illuminated messaging solution.